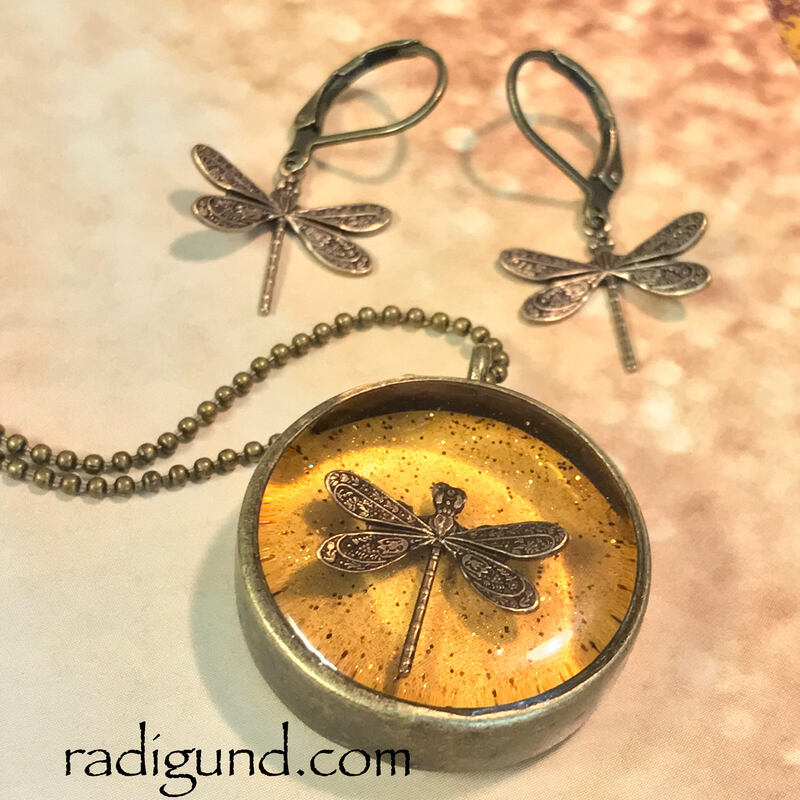 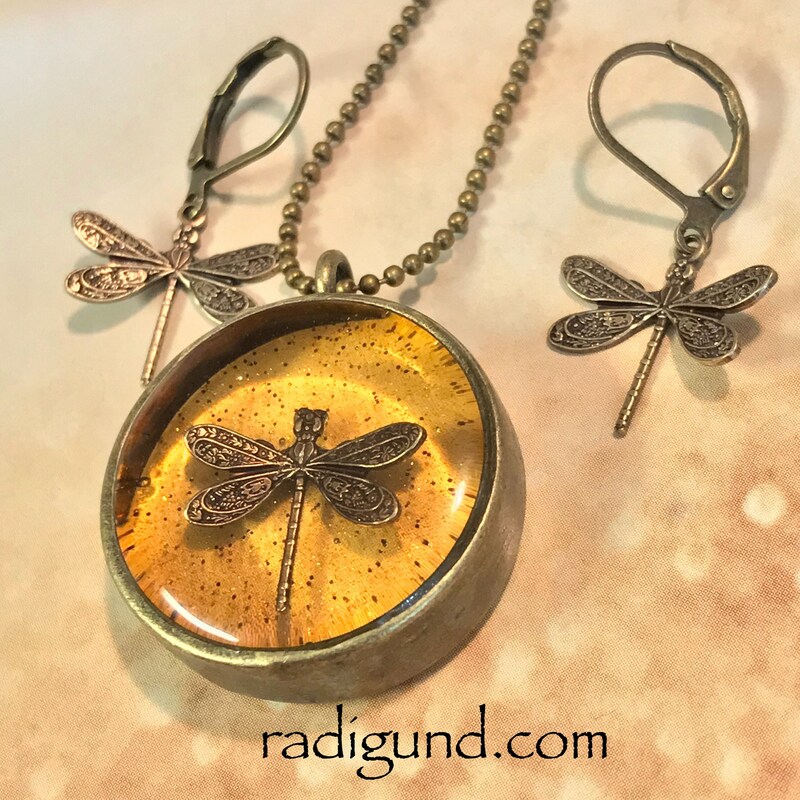 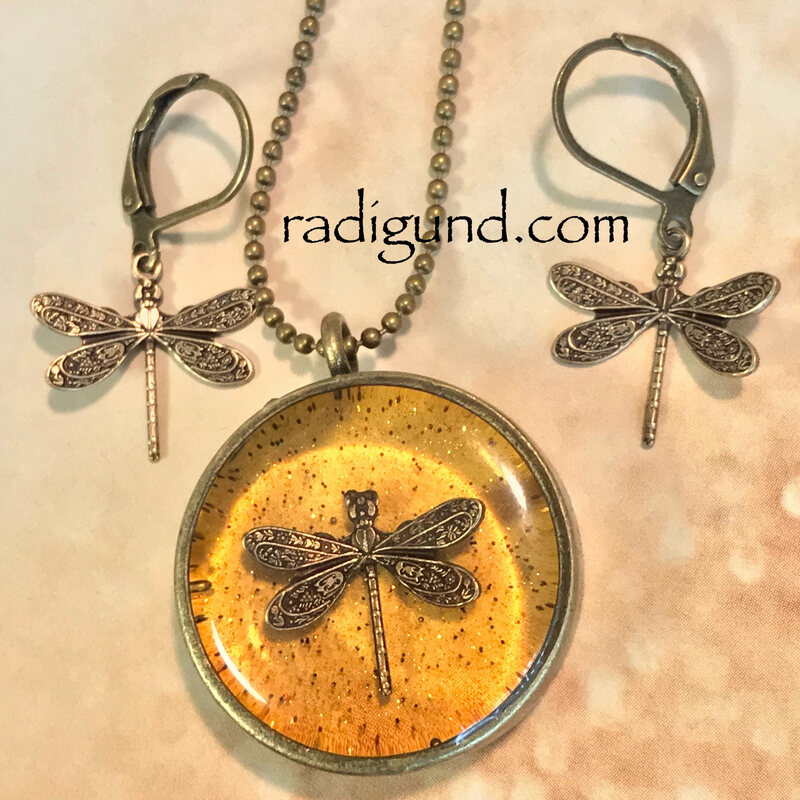 Resin Dragonfly sitting slightly on top of the Amber colored resin in Antique Brass or Silver bezel. 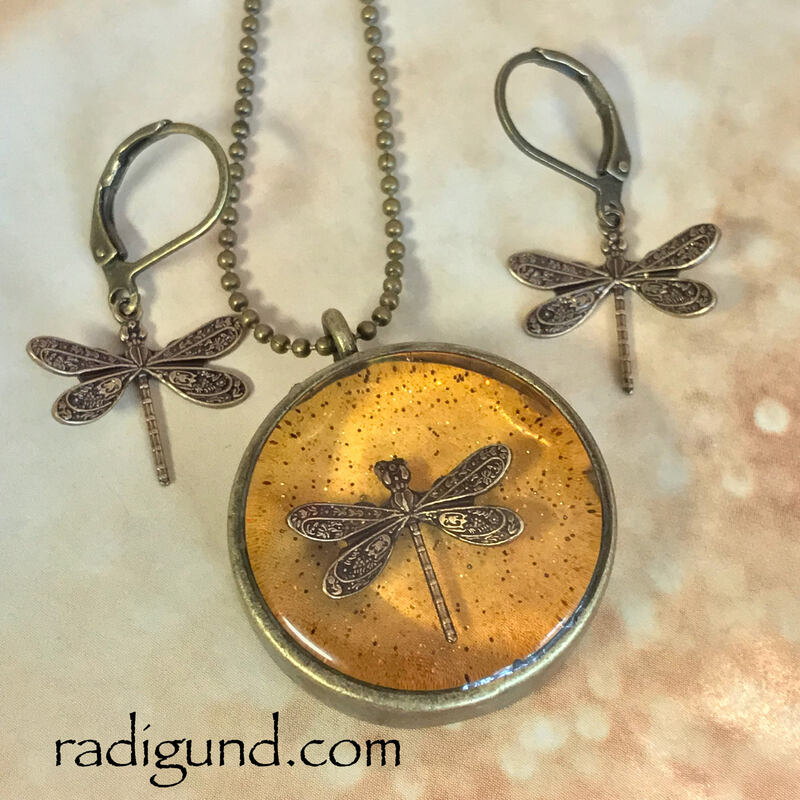 Tiny dragonfly floating on Amber coloured resin. 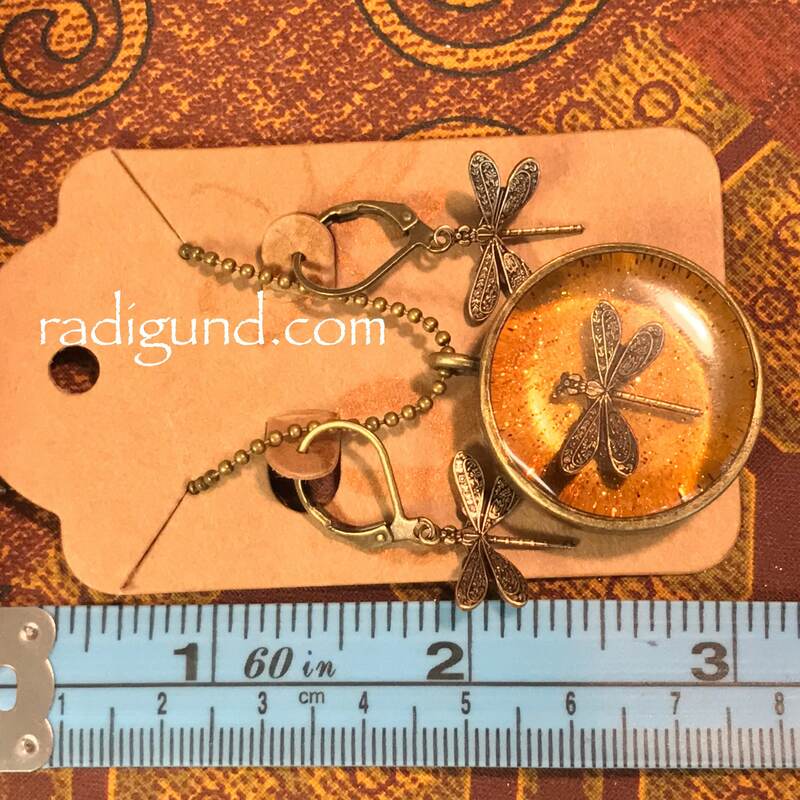 They are 1" tall and come as shown with your choice of chain/cord. 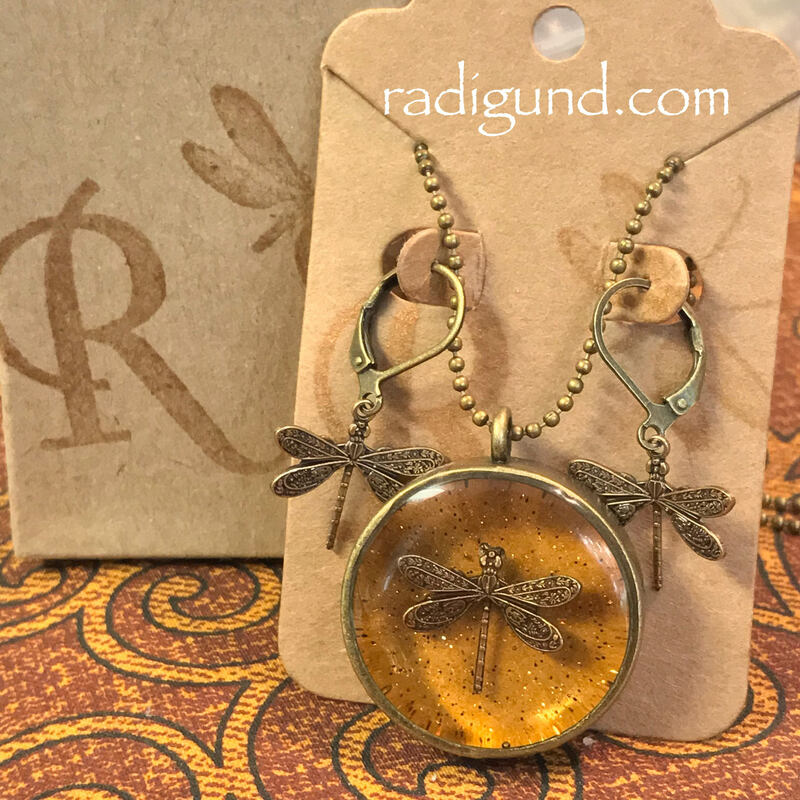 Brass Round OR Oval with a brass bezel and 20" antique brass tiny ball chain with lobster clasp OR 18" Dainty Brass or 18” Black Cord with silver lobster clasp and 1.5" extender chain.